Car accidents kill more than 40,000 people each year in the U.S., and they are the leading cause of death among people who are 1 to 34 years old. While this may be frightening, knowing just when the risks of car accidents are the greatest can help you better plan your travels to minimize your risks of collisions. recovery if you’ve been hurt in a traffic accident. During the evening and nighttime – In fact, most fatal car accidents occur between the hours of 6 pm and midnight, during which timeframe about 28 percent of all deadly traffic collisions occur. The next most dangerous time of day is between 3 pm and 6 pm, during which about 16 percent of all fatal car wrecks occur. While the afternoon/early evening can be dangerous times because because this is when many motorists are hitting the roads (i.e., this is usually “rush hour” for commuters), as the nighttime sets in, there are usually far more drunk or impaired motorists on the roads. Over the weekends – Data shows that more motorists tend to be on the roads over the weekends, which naturally increases the risks of collisions. In fact, while Saturdays and Sundays are associated with the greatest risks of auto accidents, the days with the lowest risks are Tuesdays and Wednesdays. During the summertime – As the weather warms up, more motorists tend to hit the roads, and again, this increases the risks of car accidents. 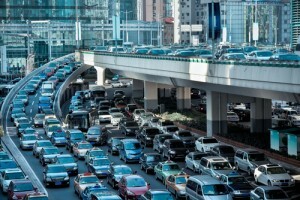 In fact, the NHTSA has reported that August is leading month for traffic accidents to occur. When motorists are impaired – Any time motorists are under the influence of drugs and/or alcohol their risks of a car accident increase exponentially. In fact, recent NHTSA studies have found that alcohol impairment (at a BAC of 0.08) can increase the risk of car accidents by about 8 times. For marijuana impairment, the risks increase by about 25 percent. About 95 percent of all car accidents are caused (at least in part) by human error. About 3 out of every 4 drivers are willing to say that they are more careful behind the wheel than most other drivers. What do you think about these findings? Share your comments with us on Facebook and Google+. Have you been hurt in a motor vehicle accident? If so, contact the St Louis car accident attorney at Brown & Brown Attorneys at Law. We have a long-standing commitment to serving our clients, and we are experienced at aggressively defending our clients’ rights in any legal setting. To learn more about how we can help you, attend a free, no obligations initial consult with a St Louis car accident attorney at Brown & Brown today. You can schedule this meeting by calling us at 573-333-3333 for our Missouri office or at 618-888-8888 for our Illinois office. You can also email us using the form at the right-hand side of the screen.